Cooking delicious meals for my family is part of my daily routine goals. As a mother and a full time blogger, I often feel chaotic, especially during crazy weekdays. But no matter how busy or tired I am, I will make sure that my family can still enjoy tasty and nutritious meals at dinner table. My family is huge fans of rice dishes, something I think that will never change as it’s so easy to mix it up and have completely different meals each time. By a simple switch of a few key ingredients I can convert a rice dish from being an ethnic Asian dish to an ethnic Indian dish, and again to a Mediterranean dish or a country comfort food meal. It all starts with good rice as the basis. 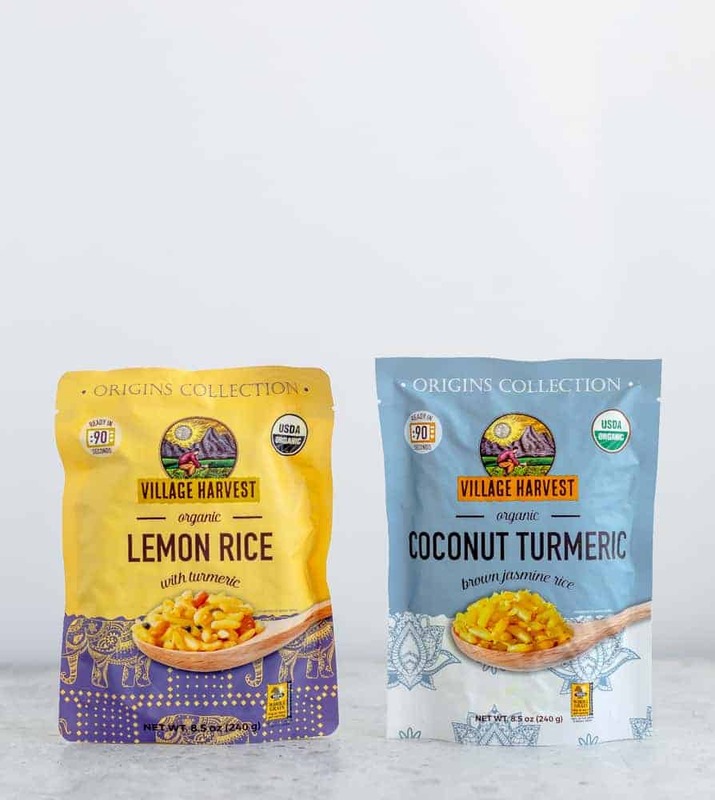 I served the stir fry recipe with Village Harvest Origins Collection Lemon Rice with Turmeric. Originally from India, the vibrant yellow color come from a good dose of the amazingly healthy spice turmeric and a splash of lemon juice. It reminds me of Nasi Kuning that I had when I was in Indonesia. It’s a delicious rice that can be eaten alone or with any dish. As with cooking in general don’t feel restricted to tradition or having any barriers. For example flavors from India can and do taste great in fusion flavors that stretch far away from traditional Indian items. Fusion flavors are sometimes the most exciting to come across, and who knows you just mite stumble upon a genius combination that hasn’t been done before. That said, I do love trying to perfect those traditional menu items too, an endless and fun journey. Stocking up my pantry and fridge with nutritious choices is really important to maintain a healthy diet. It’s also a great way to make smarter food choices when I have no time for cooking big meals. That’s why I love having ready-to-serve rice from the Village Harvest Origins Collection in my pantry. This product line offers convenience without compromise when it comes to enjoying a quick meal that doesn’t sacrifice the nutrition or taste. 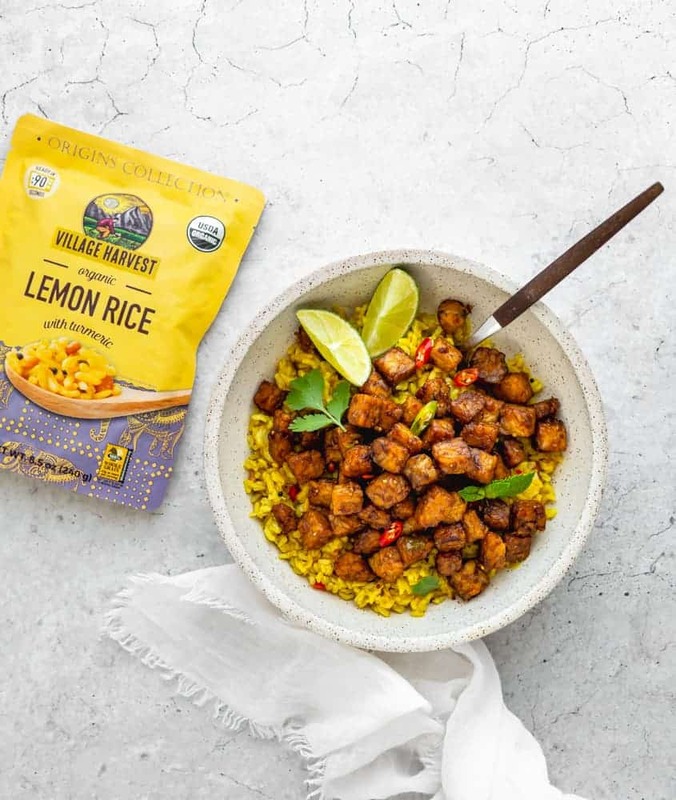 This ready-to-serve rice from the Village Harvest Origins Collection are flavorful and the perfect solution for your busy life. They are microwaveable and can be ready in 90 seconds. 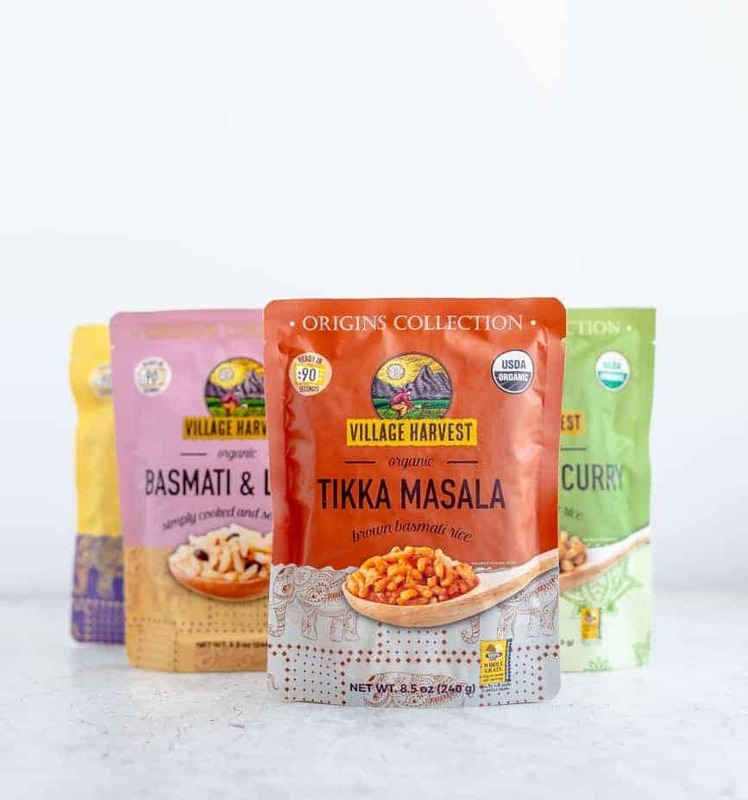 Featuring authentic recipes from India and Thailand, they are curated by chefs at origin and use fresh, hand-chopped ingredients that are also organic, Non-GMO, 100% whole grain and gluten free. As a side-note Village Harvest has a great line of other products, too. I’ve been very happy with their other rice options, as well as Freekeh and Quinoa. I am looking forward to trying their Red Quinoa, amongst other flavors. Once I find a brand that is aligned with my standards for health, quality and flavor it makes me much more open to trying more varieties. In a food processor, grind shallots, garlic, galangal until smooth. 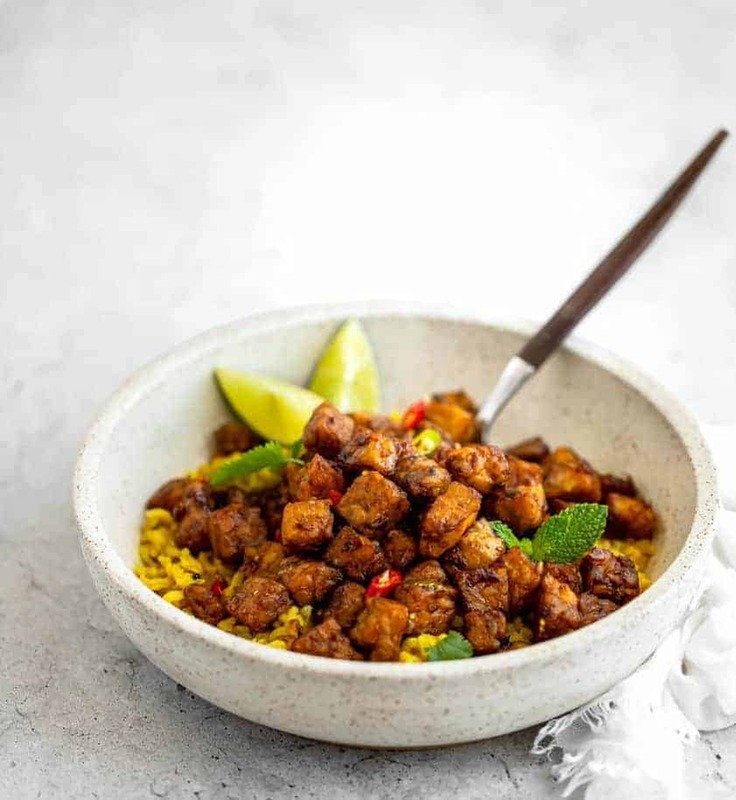 Heat 2 tablespoons oil in a frying pan, cook tempeh until golden brown and drain the excess oil with paper towel. Heat 1 tablespoon oil in a frying pan and saute the spice paste, ginger lemongrass, bay leaf, chili until fragrant for about 3 minutes. Return the tempeh to the pan, season with salt, sweet soy sauce. 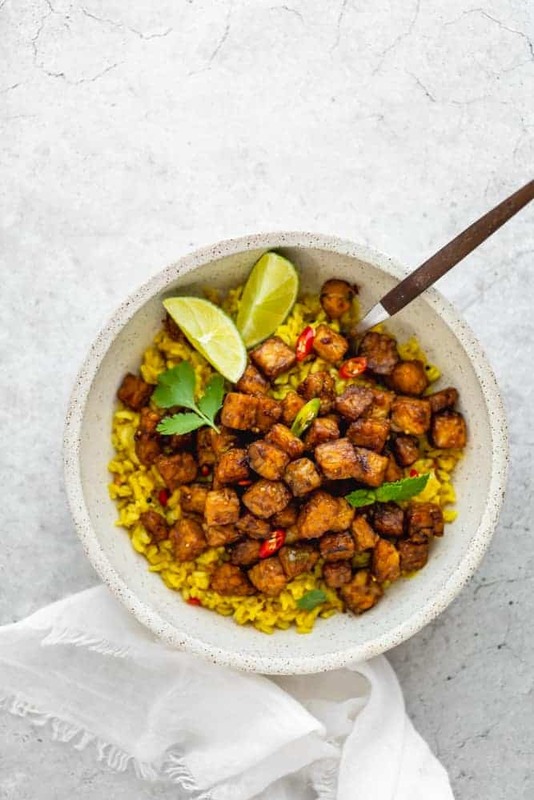 Keep stirring until the tempeh bites are fully coated with the spice mixture and soy sauce.